In this video podcast, I discuss my recent record purchases, which includes Minnie Riperton's 1974 classic album, Perfect Angel. I tried uploading this to Youtube, but the Warner Music Group content police tagged it as a copyright violation and made it unavailable for viewing in the United States. Ooops. Facebook isn't so particular, apparently. 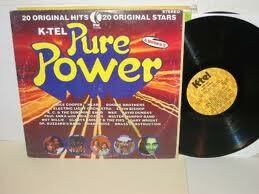 This month on Adventures in Vinyl we are heading back to the 70s with a great compilation called Pure Power. This is K-Tel at its finest with a very eclectic mix of tunes. Although it was released in 1977, most of the songs are from 1976, so I suspect it was released early in the year. On this album you can find "Dream Weaver" and Diana Ross' "Theme from Mahogany." There's also ELO, The Doobie Brothers, Kiss and....Paul Anka... Alice Cooper and Hall & Oates, to name a few. This is a great example of what I like most about K-Tel: the hodge-podge of songs that are next to each other on a single compilation. I have said it before and I will say it again: K-Tel pioneered the concept of "shuffle" decades before the invention of the iPod. Here's the commercial that appeared on American tv in 1977 advertising Pure Power. 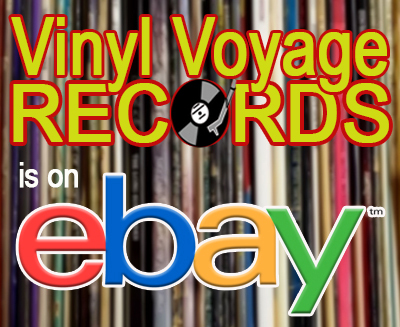 Adventures in Vinyl can be heard on Vinyl Voyage Radio on Saturday mornings at 11 am (ct) and Sundays at 4pm (ct). During the week, you can catch the show at 1 pm Tuesday, 2 am Wednesday and 10 am on Thursday. 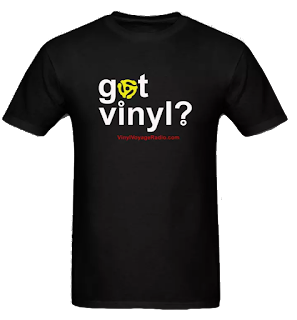 Also, if you would like to hear Adventures in Vinyl but can't catch it when it streams, simply send us an email and we'll play it when you want. How's that for service? Adventures in Vinyl: the only radio show dedicated to the lost art of the K-Tel record compilation.